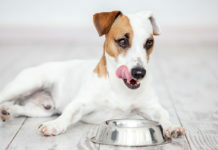 Many dog owners are discovering that homemade dog food recipes are the way to go for their pooch. Besides being a possible money-saving option, healthy homemade dog food is a choice that is easier than you may think, as well as being a great-tasting alternative to commercial dog food. Dog food recipes can be tailored to your individual dog’s taste buds. The best homemade dog food recipe is made with one ingredient that no commercial brand can match: your tender loving care! Have we got you thinking about how to make homemade dog food yet? If so, we’re going to help demystify the process of creating nutritionally complete homemade dog food. Whipping up balanced homemade dog food recipes in your own kitchen can be a satisfying and rewarding experience for both you and your beloved pooch. And what could be better than having an eager, experienced taste-tester at your elbow? Are you interested in raw dog food recipes? Dog food recipes with chicken? How about easy dog food recipes? We’re going to provide links to all of these types of home cooked dog food recipes, plus a few you may not have thought of. Believe it or not, developing an organic dog food recipe is no harder than making homemade dog food for allergies, or assembling natural dog food recipes. While using cooked dog food recipes (or raw dog food diet recipes) is not overly difficult, it is a process that requires a bit more exertion than flipping back a canned food tab or ripping into a 10-pound bag of kibble. 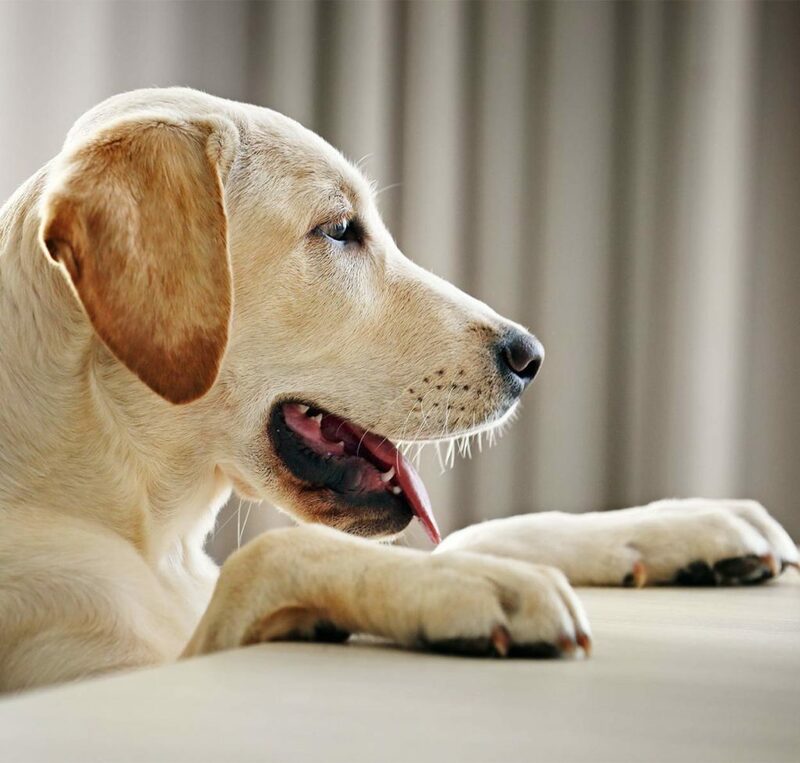 Pet nutritionist Cailin Heinze, VMD, endorses the practice of deploying balanced home cooked dog food recipes, but cautions that dedication to the process is a key component. 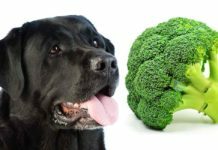 Before we take a look at some of the most appealing balanced dog food recipes available, let’s take a look at just exactly what proper dog nutrition entails. Canines are omnivores, meaning they are able to eat meat, vegetables, and grains. However, your dog’s primary food source should be composed of protein, not a grain or vegetable. Dogs require a formulation that is high in protein and fat in order to meet their nutritional needs. When it comes to commercial dog food, many experts recommend a dry food with a protein content over 28% and a fat content over 20%. Similarly, they suggest that wet food contain over 7% protein and over 5% fat. For this reason, we don’t recommend low fat diets for dogs. 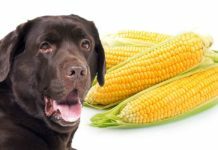 To learn more about low fat canine diets, we recommend reading this excellent and informative article. Additionally, dog food should be tailored to your unique pup’s size, stage of life, activity level, and any special needs she may have. Which is why you may want to consider homemade senior dog food recipes and homemade dog food recipes for skin allergies. No one knows your dog better than you; you have the inside track when it comes to knowing which best dog food recipes will appeal to your pooch. Will it be natural homemade dog food, simple dog food recipes, or homemade raw dog food? Whichever balanced homemade dog food recipes you choose, it’s always a wise idea to consult with your trusted veterinarian before changing up your pet’s diet. You vet can give you up-to-date advice on nutritional matters that may affect your pet, as well as “vet” any home dog food recipes you may be considering. When it comes to dog nutrition homemade food may be a big plus. 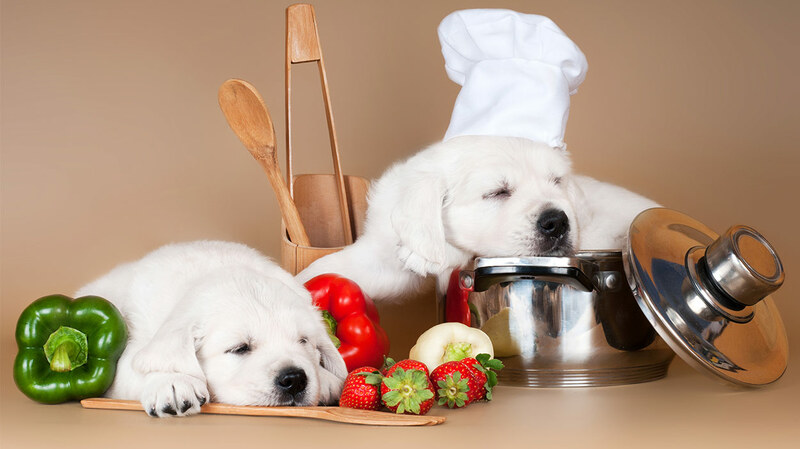 With these factors in mind, let’s take a look at the some of the best homemade dog food recipes you may want to whip up for your favorite furry friend! At the beginning of your homemade dog food journey we recommend that owners stick to canine diets endorsed by animal care professionals or veterinarians. And you wouldn’t want anything less for your pup when you’re the chef! According to the Association of American Feed Control Officials (AAFCO) a complete and balanced dog food meets a dog’s nutritional needs at whatever stage of life she’s in. Likewise, it’s important for you to provide homemade nutritionally complete recipes. How do you know this is the case for the recipes you use? Always be sure to carefully follow the directions for cooked dog food recipes, as some of the ingredients may be dangerous if served raw. For those of you who would like to sample raw homemade dog food recipes, stay tuned. We’ll get to that in just a bit! This omelet recipe calls for 2 eggs plus ingredients, which may be enough to satisfy one pup. 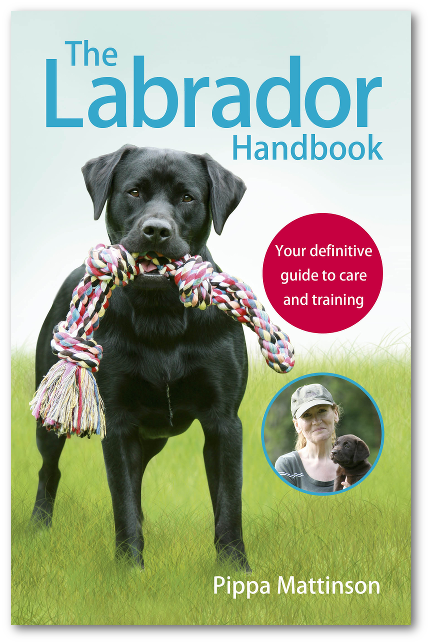 But if you have more than one dog, or need to sample the recipe along with Fido (we won’t tell!) try doubling the recipe. (Eggs should be cooked for at least 10 minutes at 180 F (82 C). This frozen meat treat recipe is especially convenient as you can pop one out of the freezer any time to serve as a refreshing snack, or to reward an especially good dog! The renowned Massachusetts’ MSCPA-Angell Animal Medical Center has an excellent chicken-based canine recipe on its website. Not only is the recipe a nutritionally complete homemade dog food, there are different, convenient versions for pooches of varying sizes. So, if you have a small dog, use the recipe for a 15 pound pooch. Likewise, there are balanced dog food recipes for 30 and 60 pound pooches. The recipes take the guesswork out of portion sizing, although you can choose to make enough to serve leftovers the following day. Keep in mind that switching out or changing up a recipes ingredients can result in an unintended outcome. If you find that homemade dog food recipes have become your passion, it won’t be a surprise to learn that your dog feels the same way about your home cooking! If you do decide to feed your fur baby home cooked meals, it’s a good idea to have your vet see your pooch after about 2 to 3 weeks to insure that she’s not losing or gaining or too much weight. You can also consult with your vet at that time about your dog’s new diet and nutritional profile. In addition, your vet may want to examine your pup, including skin, body condition and coat, in a few more weeks to insure that there are no possible diet-related issues to be concerned about. What dog doesn’t love a good biscuit or two after a robust play session? This veterinarian-approved recipe for “Blackberry Biscuit Dog Treats Recipe” is sure to be the perfect picker-upper for hungry dogs of all ages. 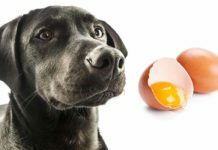 The most common canine food allergens are eggs, corn, beef, chicken, wheat, soy, and milk, according to the Merck Vet Manual. While it can be difficult to find a recipe that lacks all of these ingredients, Paula Terifaj D.V.M., offers a terrific all-around homemade dog food recipe on her website that manages to sidestep all of the above allergens except for the chicken. When made with certified organic ingredients, this fun “Red, White, and Blue Yogurt Popsicles Recipe for Dogs” will be a welcome snack on the Fourth of July or as a “just because” special treat for your special pup. 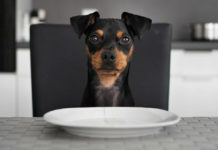 Feeding your pooch a raw dog food diet can replicate the diet of dogs in the wild and has become popular in recent years. There are two main types of raw canine dog food models, the BARF diet (biologically appropriate raw food) proposed in 1993 by Australian veterinarian Ian Billinghurst, and the RMB diet (raw meaty bones) diet. You can also buy prepackaged raw dog food in most pet stores and in some supermarkets. For more details about feeding your dog a raw food diet, be sure to read this excellent and informative article. The wide-ranging article covers the risks and rewards of feeding your pooch raw food, and honestly addresses the debate surrounding the practice. Many recipes use specific measurements and amounts for their ingredients. A food scale is much more accurate for measuring meat portion volumes than regular household measuring cups. You can buy a food scale at your local pet store or at any big box store. What could be better than a hearty, healthy homemade meal? A delicious homemade dessert to top it off! 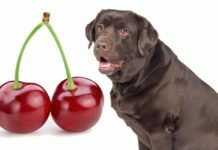 Here is a fun and pleasing snack recipe from the American Kennel Association that is sure to delight any doggy diner. Then again, the recipe sounds so tasty and easy, you might want to impressive your non-furry family members with a homemade pretzel or two! Since we’re on the subject of delicious doggy foods, now is a good time to list some of the ingredients to avoid feeding your dog. Although these everyday substances are fine for human consumption, they have the potential to make your pooch sick, or worse result in serious illness. 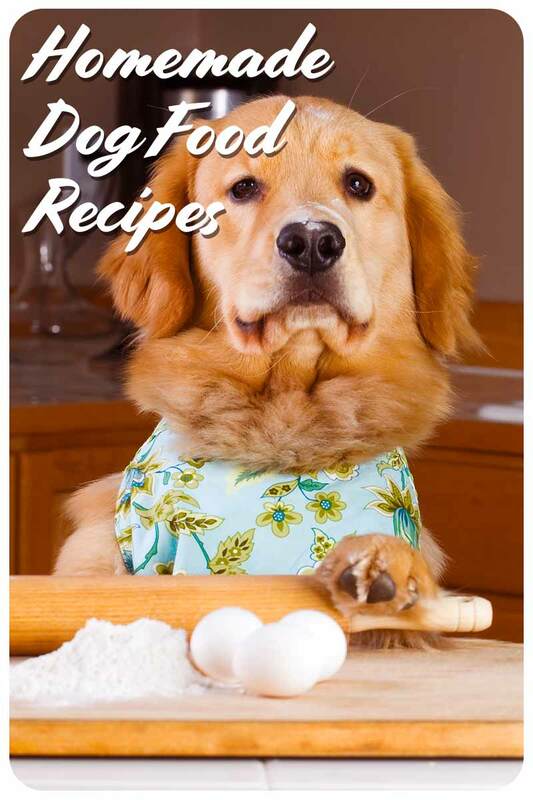 We hope that you enjoyed our links to homemade dog food recipes. There is really nothing better than a meal made with love, something that your dog will now be able to attest to, or bark at. Do you have a favorite canine breakfast, lunch or dinner recipe? How about a doggie snack or treat recipe? We’d love to hear about your own experiences with homemade dog food recipes, and maybe even sample one of your tried and true recipes: share your ideas with us in the comments section below! Next articleSniffer Dogs – The Very Best Way To Follow Your Nose!